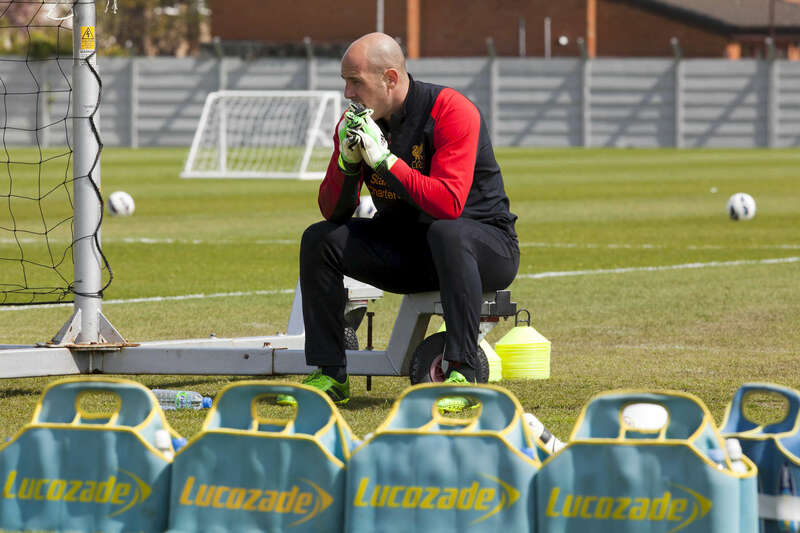 Liverpool FC goalkeeper Pepe Reina takes a break from training at Melwood. Melwood is the Liverpool FC training ground, located in the West Derby area of Liverpool. It is seperate from the Liverpool Academy, which is based in Kirkby. Melwood was redeveloped in the early 2000′s with large input from then-manager Gerard Houllier and now features some of the best facilities in Europe. It has been the club’s training ground since the fifties and was previously transformed into a top class facility by Bill Shankly. Facilities include sythetic pitches, rehabilitation rooms, press and meeting rooms, gymnasium, swimming pool, restaurant and recreational facilities.